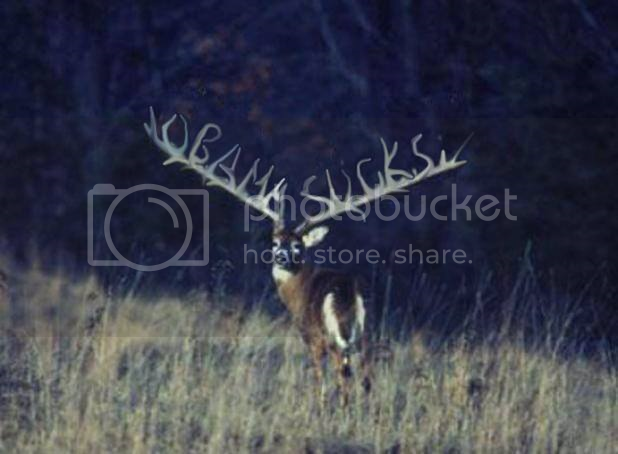 The Funny Bone » A deer this hunter simply could not shoot. Front Porch Punditry » All the other stuff » The Funny Bone » A deer this hunter simply could not shoot. After a minute or two of staring through my scope not believing what I was seeing, I dropped my rifle in the grass, fell to my knees, and prayed for this blessed creature. I just couldn't pull the trigger! I have a friend who used to hunt using old fashioned bow and arrow (not compound). A few years back he stalked a magnificent stag, had the shot all lined up, and just couldn't take the creature's life. Could Barack Obama be a Fabian Socialist? This Coffee Mug Could Actually Help You Cut Down On Coffee! GIDDY UP: Would You Pass This Texas Sheriff�fs Exam? This New Air Force Commercial Curiously Leaves Out a President; Can You Guess Which One?